Medical providers can help prevent tooth decay by integrating oral health as standard medical care for young children. Specifically, medical providers and their staff can offer oral evaluations (screenings), fluoride varnish, parent education and dental referrals for children as soon as the first tooth appears in a child’s mouth. Use the materials in the Medical Providers section to offer the services in your practice. They have been tested in hundreds of practices. Request a training for you and your practice. Parents can help their children by brushing their babies’ teeth with fluoride toothpaste twice a day and asking for fluoride varnish applications at their babies’ medical and dental appointments. 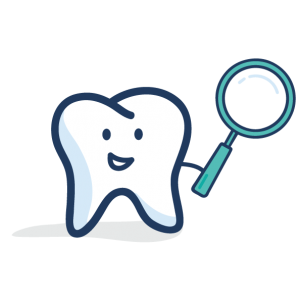 Children who receive fluoride varnish applications have less tooth decay than other children who do not receive fluoride varnish. Resources: Check out the Parent Section of this website. Integrate pediatric oral health into your curriculum. Training programs and support are available. The Center for Excellence section of this website allows for the sharing of materials and ideas between similar efforts across the country. Submit your materials to the Center for Excellence.